*We also offer CNA/CHHA combined class; contact school for details. 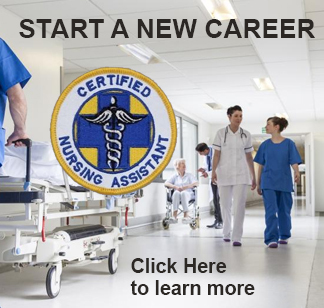 **If you are a CNA and would like to add CHHA we have a conversion class. Includes a 250 hour internship. Plus a 100 hour internship with LabCorp at end of course. 30 Hour Certification; allows individuals to dispense medication. Pre-requisites are: CNA & CHHA with a minimum 1 year experience. Contact us for more information on days and times.